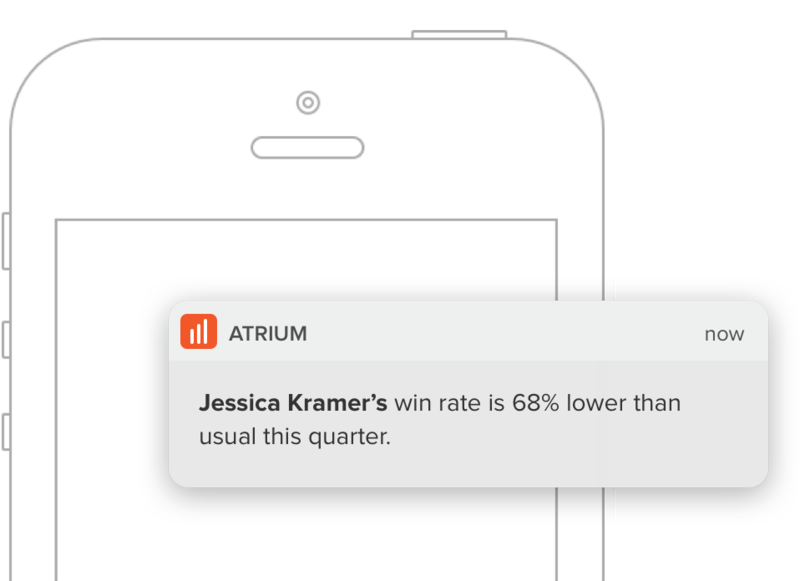 Atrium continuously collects and correlates metadata from your email, calendar, phone, and CRM system to provide you with real time insights on how your teams and reps are performing. No manual data entry required! Atrium will monitor, identify, prioritize, and alert you to issues so you'll always know what needs your attention. Atrium also provides dozens of out-of-the-box KPI reports and dashboards on the metrics that matter most. 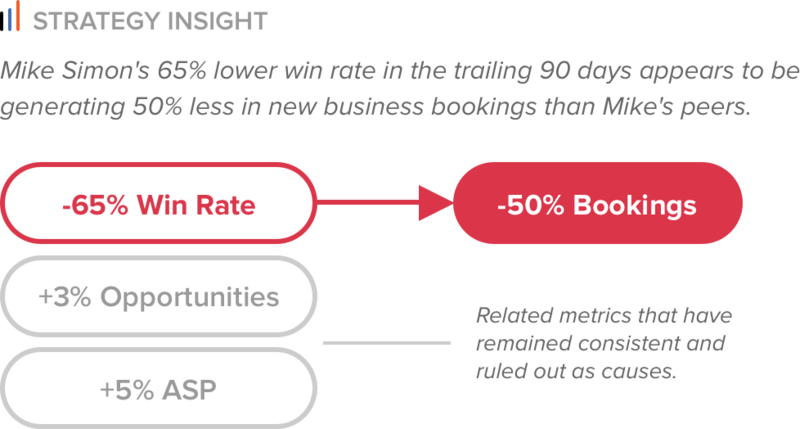 Atrium analyzes your data to discover root causes for performance issues, as well as for outstanding results. Atrium also provides recommended actions so you can make better informed decisions.